Summer time along the Front Range is a magical time. It is the most beautiful time of year in the most beautiful part of the country. The grass is growing, the flowers are blooming, and the trees are starting to fill with leaves. Well, all the trees except for the one that sustained damage in the spring snowstorms. That old boy still has two leaves clinging to the remaining branch and the rest of the branches are completely bare. Time to figure out if you want to move ahead with tree removal or try and save the tree. A Climb Above is the finest tree service in the Metro Denver area. A consultation is the best way to figure out what to do about your poor, sad tree. 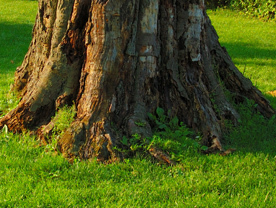 In some cases, the tree may be saved often if the damage is too severe, the tree will need to be removed. Tree removal is not for the amateur lumberjack with a hand saw. Yes your beard is impressive, but It is best to leave the actual cutting of the tree to the professionals. A Climb Above has the experience to bring down any size of tree. Bringing a tree down is the easy part, the difficulty lies in bringing it down safely. We have the equipment and the expertise to safely bring down that huge dead tree. So give us a call, or drop us a line and let us make your tree removal as painless as possible.